I first joined YWiB in 2012 as a member and fell in love with the organization at once. Being a woman in the business world is still not as easy as it might seem. 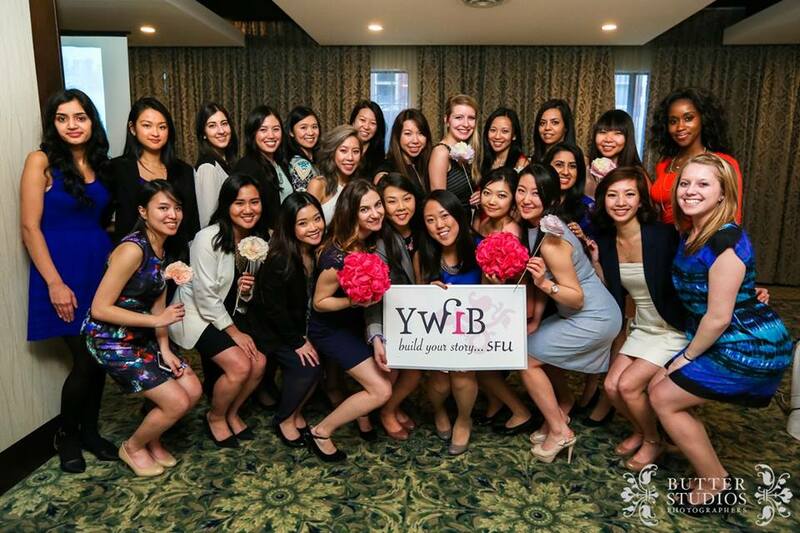 YWiB provides great mentorship, support, and a sense of belonging to this huge network of amazing women from all over SFU and a greater community. Through the programs, workshops, socials and the International Women’s Day (IWD) conference YWiB empowers emerging female leaders to grow personally just as much as professionally. I knew I wanted to contribute to this network in a bigger way, so I joined the 2013/14 executive team as an IWD Chair. My initial push to gain event planning experience poured into becoming one of the most unforgettable experiences of my undergrad so far. without the Organizing Committee, I could not even imagine how valuable the journey was going to be. Recruiting the OC and working with them on the same goal of bringing everyone the 4th annual conference was beyond my expectations. It is a unique bonding and learning experience which is very different from the one you get when doing a school project together. You are about to impact more than 150 people! IWD 2014 was the first event I have ever planned, and there were many times when I almost gave up if not for the support of the OC and YWiB executive team. These are the kind of experiences and people you are looking for in your life, and I am grateful that I managed to find them through being a part of YWiB and IWD. I can say without hesitation that in the past year I’ve learnt and grown so much as a person as well as a professional; it feels like I jumped sky high. I would never give up the experiences I had and the choices I’ve made. Witnessing the faces of inspired and engaged people on the day of the conference was totally worth all the hard work we’ve put in! Nice to read about your experience. I totally agree that being involved in school organizations really do change you.